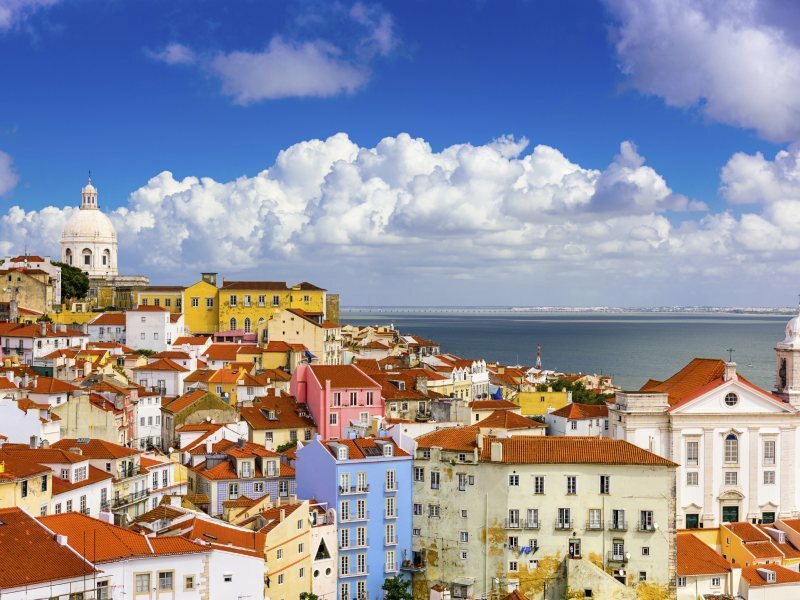 Join us, on Portugal’s celebrated southern coast, to explore the historic Portuguese capital, Lisbon, and to visit Seville, the stunning backdrop to Bizet’s ‘Carmen’ and Mozart’s ‘The Marriage of Figaro’ on a week-long holiday in the Algarve. Fly to Faro, meet your Tour Manager and transfer to Albufeira and your hotel. Settle in and enjoy your first evening, perhaps heading into town before dinner. Enjoy the facilities of your hotel, today, or perhaps head into nearby Albufeira. Wander the narrow streets of the Moorish Old Town, take a seat in a cafe in the main square, or hunt out bargains in the great selection of shops. Close by, several wonderful beaches offer an alternative to the hotel pool. Standing on the River Tagus, Lisbon is a joy. Stroll through the narrow streets of the Alfama district and up its steep stairways to the Castelo de Sao Jorge – and don’t miss the ornate Manueline architecture of the Belem quarter, or the wide tree-lined avenues, cafes and restaurants of the Baxia. Today’s full-day optional excursion takes us into the Algarve’s wooded interior. We’ll stop in Silves – the old Moorish capital – before continuing east, through the stunning mountain scenery of Monchique, to Foia the region’s highest point. The varied countryside and stunning views make for a thoroughly enjoyable day out. On today’s included excursion we’ll cross into Spain and head to Seville. See the 300ft Giralda Tower and the ‘tomb’ of Christopher Columbus at the magnificent cathedral. Visit Plaza de Toros, Spain’s oldest bullring. Stroll through the courtyards of the Moorish Alcazar to the Jewish Quarter, and stop in Plaza de Espana to soak up the atmosphere of this gorgeous city of great buildings, grand boulevards and tree-lined squares. Relax at your hotel, today, or join our optional excursion to maritime Lagos – with its walled fortifications, ‘golden church’ and stunning coastal views – historic Sagres and the wild promontory of Cape St Vincent, which looks across the Atlantic Ocean at Europe’s most south-westerly point. Our final optional excursion heads east, to Olhao. Stroll the Moorish central quarter, seafront promenade and bustling fish market here before we continue to Tavira. After time to visit Tavria’s castle and Roman bridge, we’ll head to the Algarve capital, Faro. Discover the cobbled streets and hidden squares of Faro’s fascinating old town, and its colourful marina, before we return to our hotel in the evening. Return to the airport, and check in for your flight home.